Two reasons good oral hygiene is important for your dog: gum disease and bad breath. 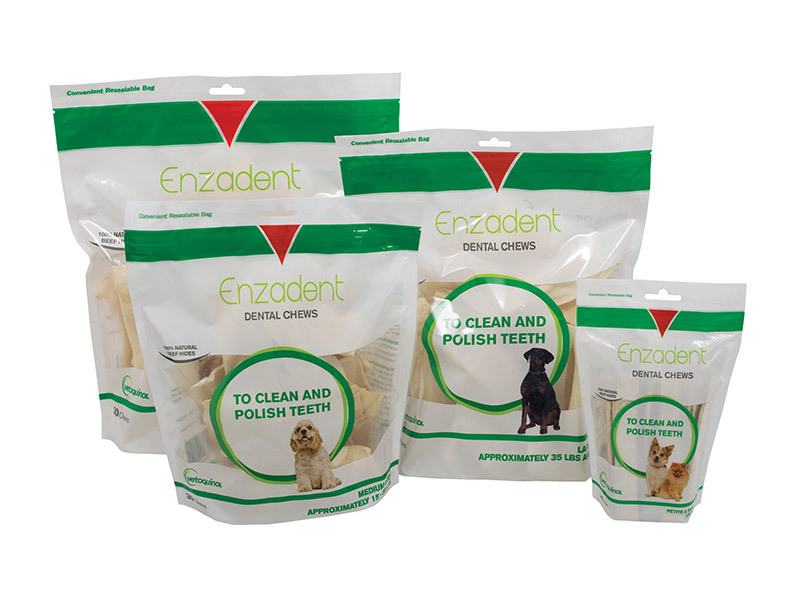 Enzadent Dental Chews are the tastiest part of a well-rounded dental care routine to clean, polish, and keep your dog's teeth healthy. Good dental hygiene practices, like giving your pet Enzadent Dental Chews, helps remove food particles before they develop into plaque. Consult your veterinarian before giving your pet Enzadent Dental Chews for Dogs. Follow the recommended administration on the package, unless otherwise instructed by your veterinarian.